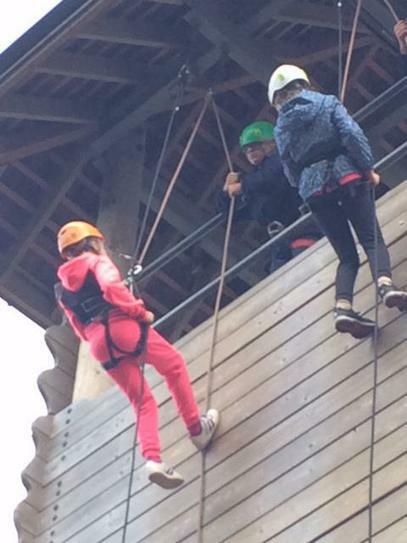 As most of you know the year 6’s were missing last week, due to the fact that they were away on a residential trip to Kingswood - a humungous activity centre. 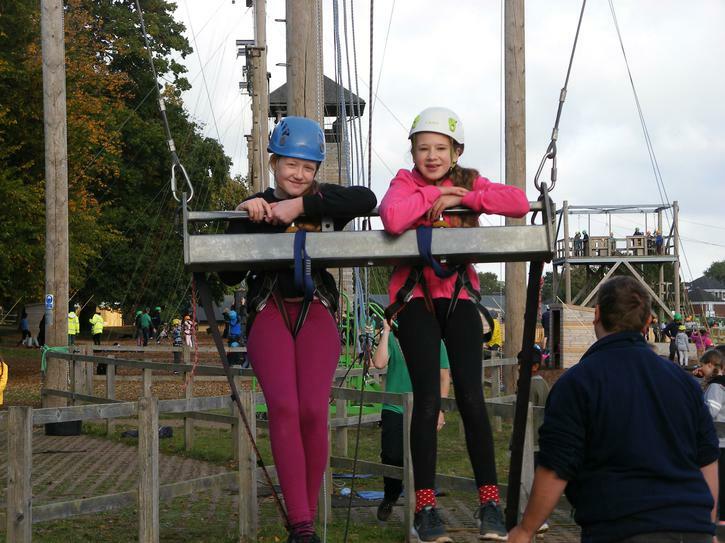 There were many great activities lined up for us all! Before we reached Kingswood we visited Port Lympne Zoo by coach, where we saw a variety of different animals pacing up and down in their cages. Then we even got the chance to go on a Safari truck and see the rest! Once we had been on the safari and seen most of the animals, we had a packed lunch that we had packed the morning we left. As soon as everyone had finished their lunch and been (if they needed to go) to the toilet, we walked through the dinosaur enclosure (they were not real dinosaurs as real ones are extinct- these ones were just plastic!) Reaching the end of the walk we then popped in the shop to buy whatever we wanted with our money we had taken. Finally, we then got back on the coach and set off for Kingswood. Once we awoke from our mystical dreams we got up and had a shower, before getting changed. After we were all fully dressed we went down for some breakfast. It was scrumptious! 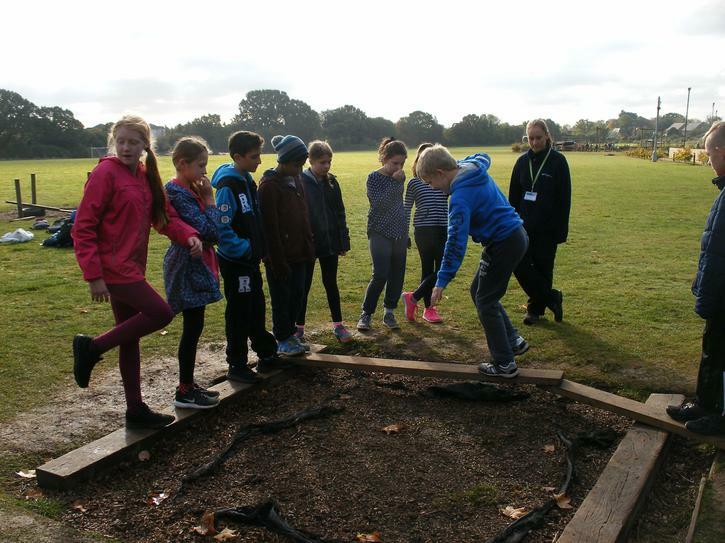 Then we got back into our groups and headed towards Team Challenge. 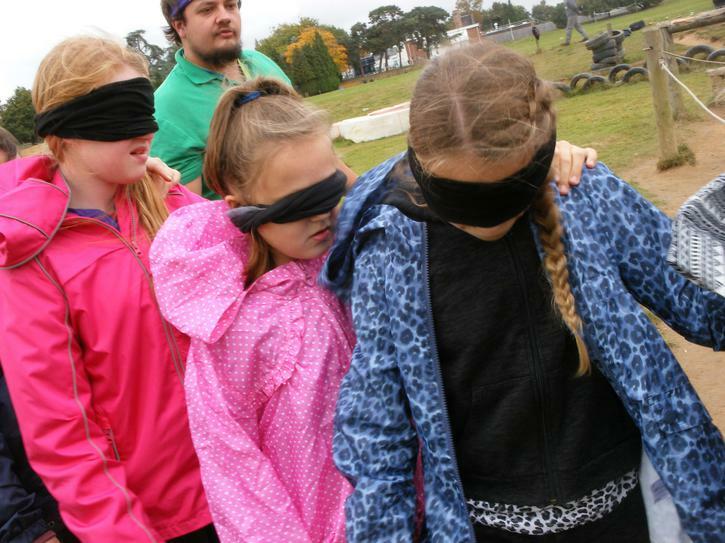 It was fantastically fun as it was girls against boys! The fact is the girls won! The time ticked by and we headed for our next activity Orienteering, which is where we split up into smaller groups and tried to find different places on the map we were given. In my opinion it was quite boring, but also fun at the same time! My group worked really well together at teamwork and map reading. On the way to finding a map point my group found a poor pigeon sitting on the ground (still alive) with its brains hanging out. YUCK!!!! Poor Pigeon. 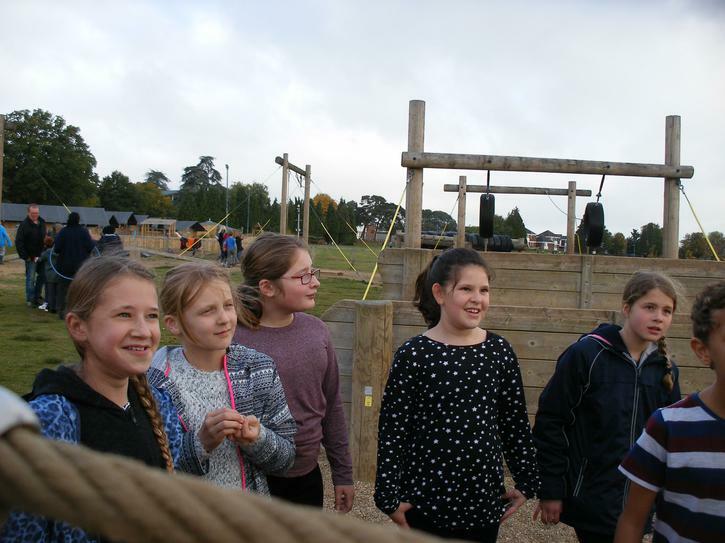 L The next activity we had was The Night Line a really muddy activity! 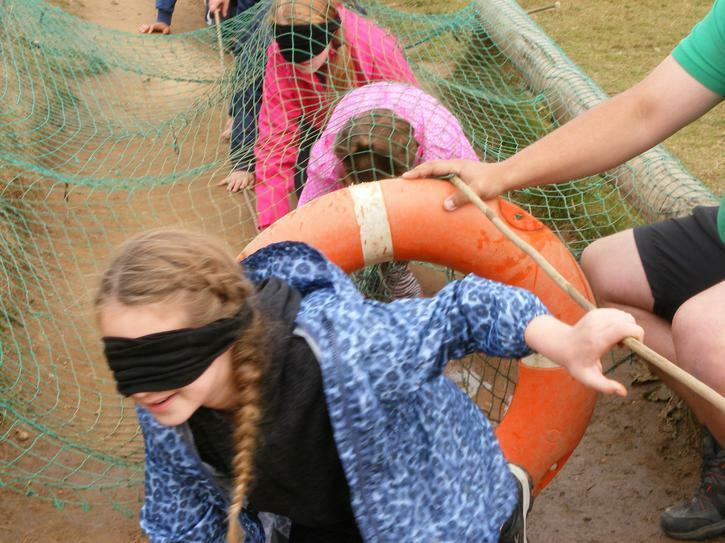 Disgustingly we had to do an obstacle course blindfolded in mud! I fell over quite a few times, but luckily I wasn’t at the front! At the end I was completely covered in mud! Consequently my group had to quickly get changed into clean clothes. Following that we then had lunch we could either have a jacket potato or a baguette so I had a jacket potato. 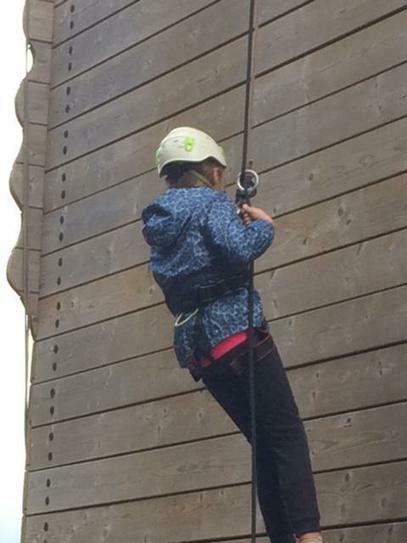 After a while we then started the next activity which was Abseiling. 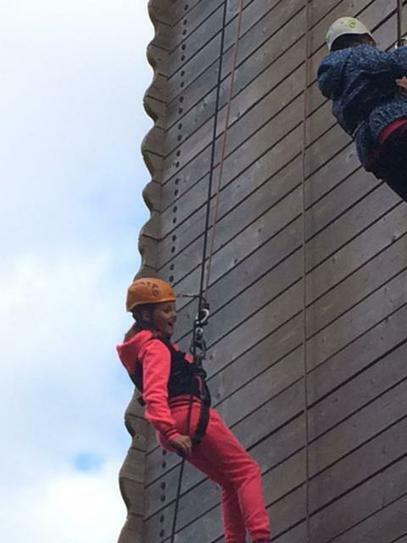 If you don’t know what abseiling is it’s when you climb up high and gradually jump down bit by bit ( attached to a rope and harness) until you reach the bottom. Stupidly me and my friend answered a question correctly and had to go first. Amazingly I completed it, I didn’t think I would! 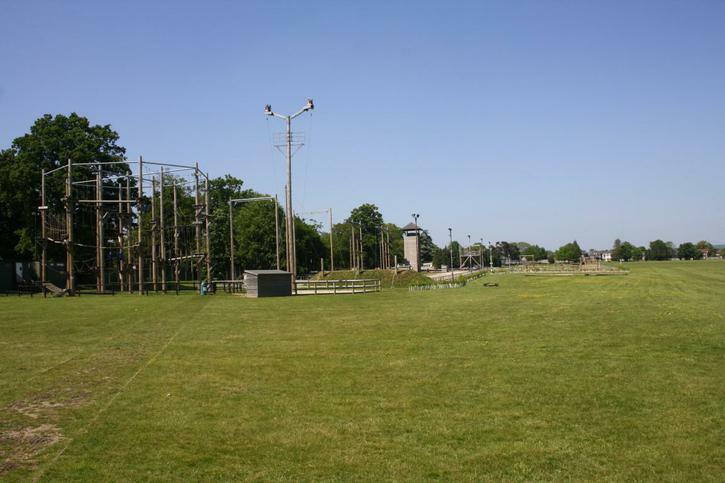 Once everyone that wanted a go had a go we then went to do Zip Wire. 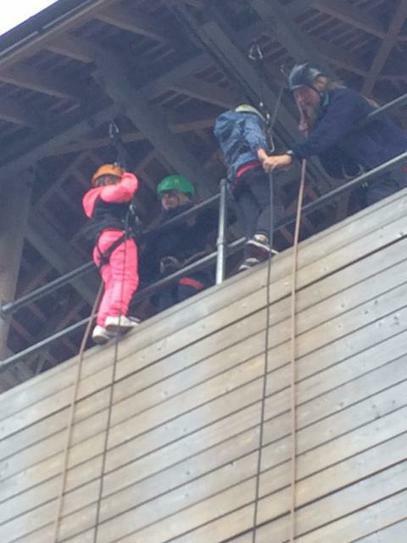 It was so fabulously fun and high! J For the last activity of the day we did Archery. Yes, with real bows and arrows! Would you believe I was actually quite good at it? Then once we knew how to use them it would be stupid not to play each other, so that’s what we did. My group played with the other group (My Mum’s) that was also doing fencing with another instructor. Unfortunately my team lost! 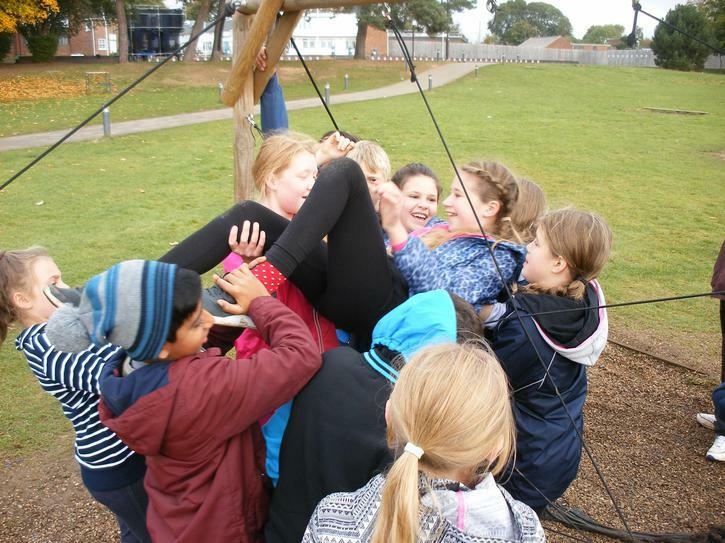 Still in one piece we returned to the playground to find the other groups and we all went into tea, Once again I had a jacket potato! 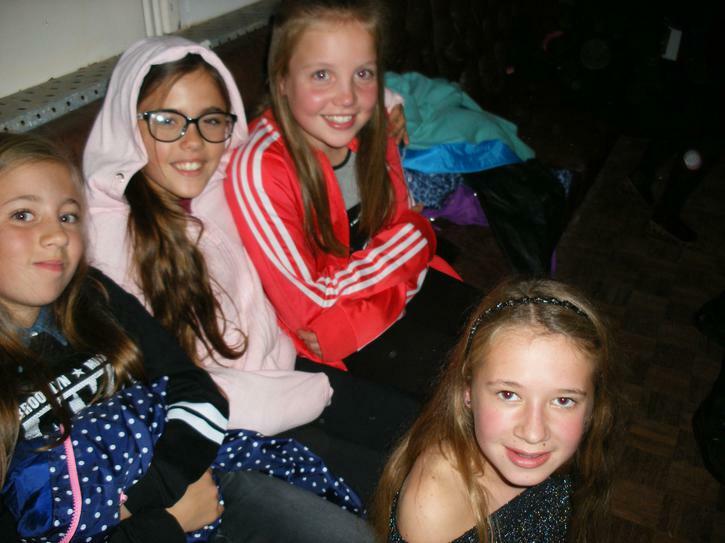 As soon as we had finished our tea we went to our rooms to get changed for a disco that was being held in the hall. As soon as we were all in our disco outfits we left for the disco, which you could notice a mile away, as it was so bright and loud! 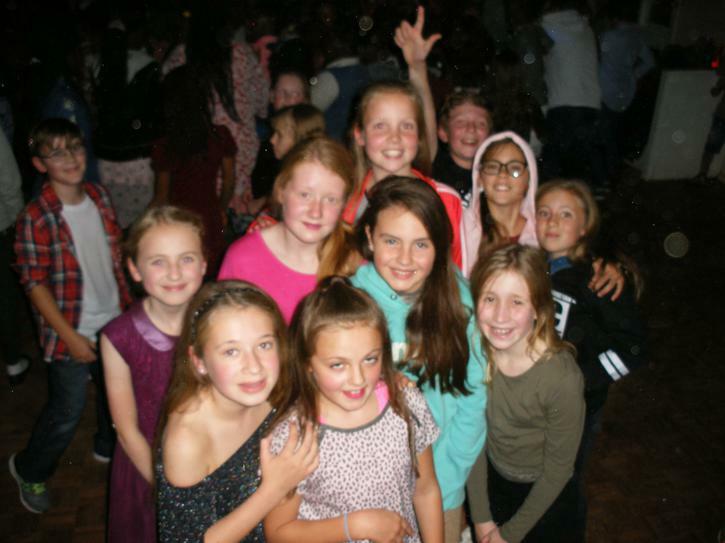 Stupidly we were joined by many other schools which made the hall very crammed and hard to find people from our own school, but the disco was great and the music was very up to date. Hilariously, two of my other friends fell asleep during the disco and the teacher had to wake them up! 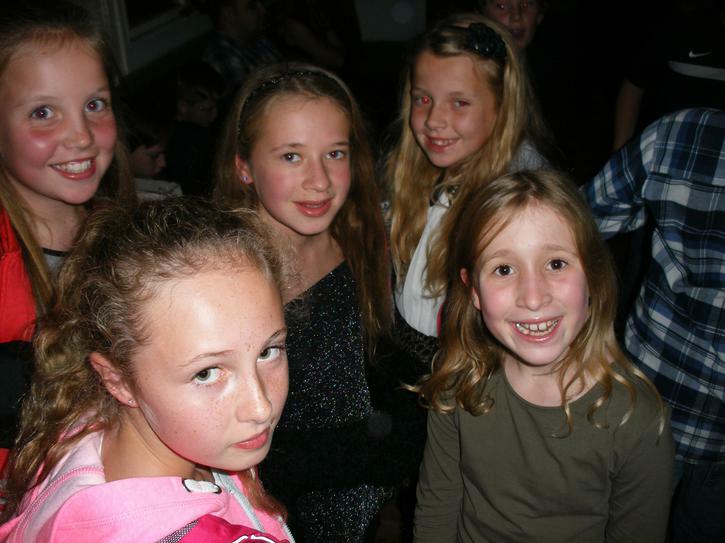 Before very long the disco was over and we all returned to our own rooms and fell asleep quickly that night. On our final day we got changed and had to strip our beds and pack our bags. Amazingly me and my friends finished speedily before everyone else and went to wait outside. As time went by more and more people started to finish and join us. Finally everyone was outside and we went to get breakfast where there was sausage and beans that day. YUM! Eventually everyone finished their breakfast so we went to get our bags from our rooms and carried them downstairs and outside to a holding room where we had kept them once we arrived. After everyone put their bags away we went to our next activity ‘Problem Solving’ , which is where you have to solve a multiple of questions in your group. My group did really well. For our final activity we did the 3D Swing - a great one to end with! 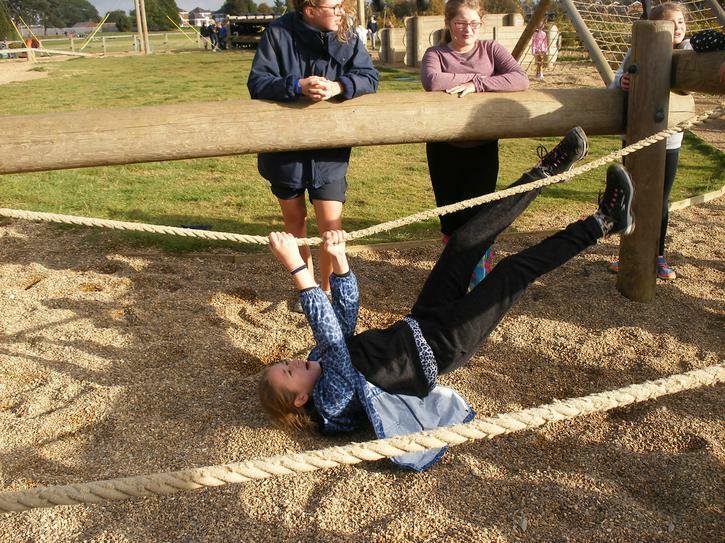 On the 3D Swing you get lifted up into the sky and you pull a rope and you literally drop. It is my favourite activity by far. The thing that is good about the 3G Swing is that you get to choose the height and red is the highest you can go up to. In my opinion red is the best! Soon everyone had finished their final activity and we went to get lunch. Surprisingly everyone was finished quicker than usual so we went to take some photos of the amazing Kingswood site. Just then the coach pulled up and we drove back to school. To all the year 5’s that are worried about going away on a trip for more than a day when they’re in year 6 don’t worry! I was extremely nervous about going away, but once I was there I was fine as you are with your friends and kept very safe. If you are worried about going away then why not chat to one of us in year 6 about our experiences and put your minds at rest.